Posted on 21, November 2017 by EuropaWire PR Editors | This entry was posted in Automotive, Germany, Technology, Transportation & Logistics and tagged Continental, Dr. Lutz Scholten, DTCO configuration app, fleet managers, tachographs, telematics. Bookmark the permalink. Fleet managers can determine the tachograph’s behavior when the driver turns the ignition on or off. 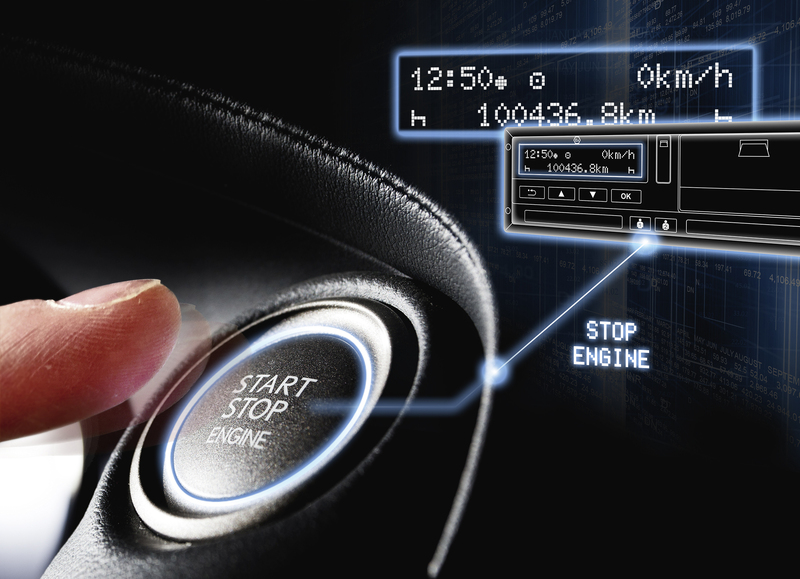 An especially interesting feature for fleet managers is that they can determine the tachograph’s behavior when the driver turns the ignition on or off. Depending on the chosen setting, the DTCO automatically switches to break time, working time or standby. Thus, for example, when a driver stops at a rest area he no longer has to actively start his break period and there is no risk that he might inadvertently allow his driving time to continue. Fleet managers can also specify whether or not standby time is to be counted as an interruption of driving time, which can depend on company rules or legal regulations. Companies can also use the app to determine which vehicle data should be stored in the tachograph for in-house analyses. This can range from fuel consumption to vehicle weight. The data can help fleet managers improve their fleet efficiency. Users who want to put their company logo on their tachograph printouts can upload the logo file to the DTCO with the app. Fleet managers can also use the DTCO configuration app to schedule warnings and reminders according to their individual requirements. This ensures smooth operations and prevents rule violations. For example, they can make sure that a driver is warned in good time before he reaches his driving time limit, or they can activate an additional warning before a vehicle exceeds the speed limit. Other practical settings can remind a driver ahead of time to download a driver card when it is about to expire. The basic information which fleet managers can enter using the app includes existing license codes for activating additional DTCO functions. It also takes much less time to enter the country of registration and the first registration number. Whereas it used to take up to 15 minutes to type this information via the tachograph menu, it can now be done with a smartphone in almost no time. The DTCO configuration app uses the company card in the tachograph for authentication. After successful authentication the app connects with the DTCO via VDO SmartLink, a small additional module for wireless Bluetooth communication between the tachograph and a smartphone. Now the user can modify the tachograph functions in line with the company’s operations. The side bar in the app gives a useful overview of the most important settings. The DTCO configuration app runs on smartphones and tablets and is available free of charge for Android and iOS operating systems. It supplements the existing app portfolio: The TIS-Web Fleet app transmits data on operations and vehicles to headquarters. Fleet managers thus have access to digital tachographs, allowing them to see drivers’ remaining driving times and find out when they have breaks or rest periods. The VDO Driver app continuously displays driving and rest times to drivers and lets them operate the DTCO using their smartphones.